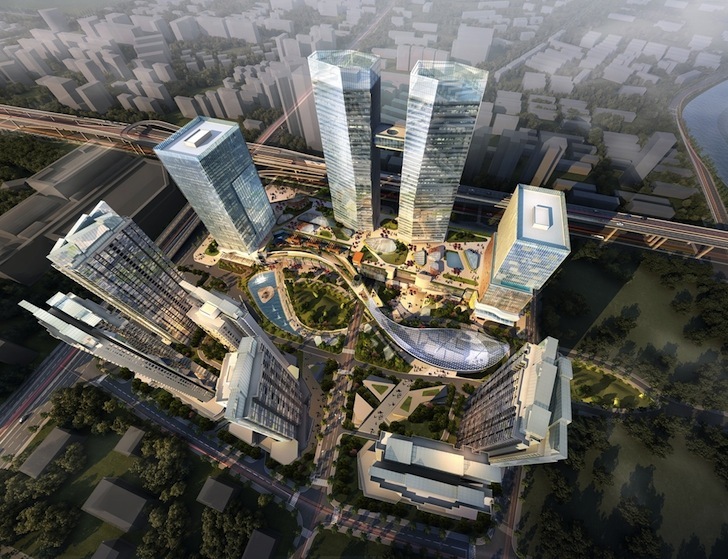 International design firm Benoy recently won a design competition for Greenland Group's Greenland GIC, a mixed-use development to be located at the heart of Chengdu, China. 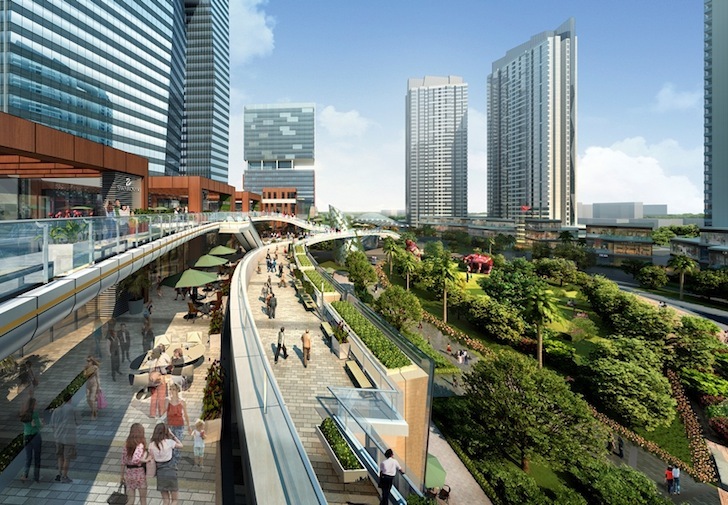 Commissioned by China’s second-largest property developer, the 21.25-acre site design is spread out across six plots of land at a major intersection of the Western Chinese city. The design was selected in part for its solution to the challenge of a restricted central park, which has been integrated as one of the core elements of the winning scheme. The Greenland GIC mixed-use masterplan design includes five residential towers, three commercial towers, serviced apartments, hotel, retail podium, and outdoor pedestrian shopping street. Approximately a third of the high-density development will be reserved for residential development. A large green space sits at the core of Greenland GIC and is flanked by several elevated pedestrian walkways and futuristic glass skyscrapers. A large green space sits at the core of Greenland GIC and is flanked by several elevated pedestrian walkways and futuristic glass skyscrapers. The Greenland GIC masterplan design includes five residential towers, three commercial towers, serviced apartments, hotel, retail podium, and outdoor pedestrian shopping street. The design was selected in part for its solution to the challenge of a restricted central park, which has been integrated as one of the core elements of the winning scheme. View from street level towards the mixed use development. Greenland GIC will form a major commercial hub for Chengdu. Approximately a third of the high-density development will be reserved for residential development.